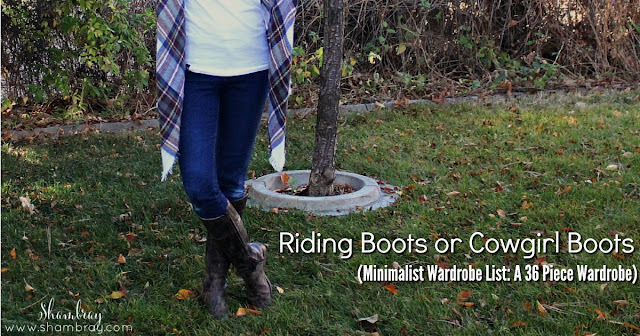 Riding boots or cowgirl boots can be pricey. Believe me...I know! It was 7 or 8 years ago that I invested in my dream riding boots. I saw them in a Victoria Secret catalog and had to have them. Then I saw the price and I didn't get them. They were over $200 and I couldn't justify spending that as a newly wed. Even though I didn't buy them I still kept my eye on them. Hoping they would drop 75% or something (wishful thinking). No such luck. The sold out of them on the Victoria Secret website, but they were still full price on the Steve Madden website. Again I kept my eye on them. Then Steve Madden announced they were discontinuing them! I seriously about had a heart attack. Sadly they barely dropped their price. But I had to have them so I bought them! Let's just say they are well worth the investment. I get compliments ALL THE TIME on them. They are so durable and timeless. They have lasted me all these years...although I have had to resole them twice. Seriously, I mean this when I say this. If you find a pair of shoes that you LOVE and are timeless and durable then they are worth it. I promise. My confidence alone goes up when I wear them! 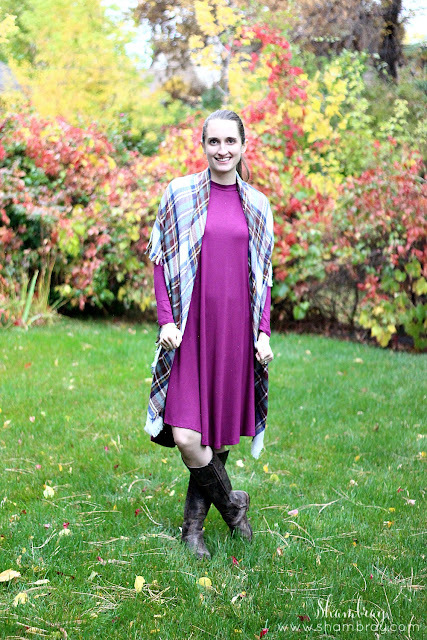 There are so many ways to wear these boots. Since they are higher than a bootie I do like to make sure that if wearing a skirt or dress that the hem of the dress/skirt is above the top of the boot. Other than that "rule" I will wear them with skirts or dresses. I love wearing them with skinny jeans as well. 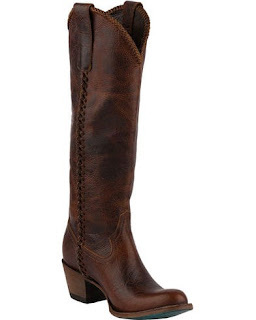 I know the boots here are not the least expensive, but you will get quality like I mentioned above. This is only one picture of many boots you could choose from. 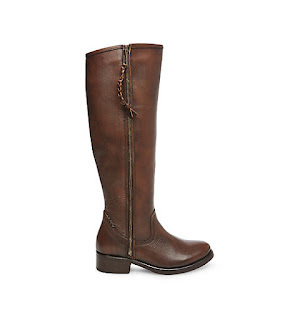 Once again I am not picking inexpensive boots. Your feet will thank you for this. There are SO MANY options on this site. 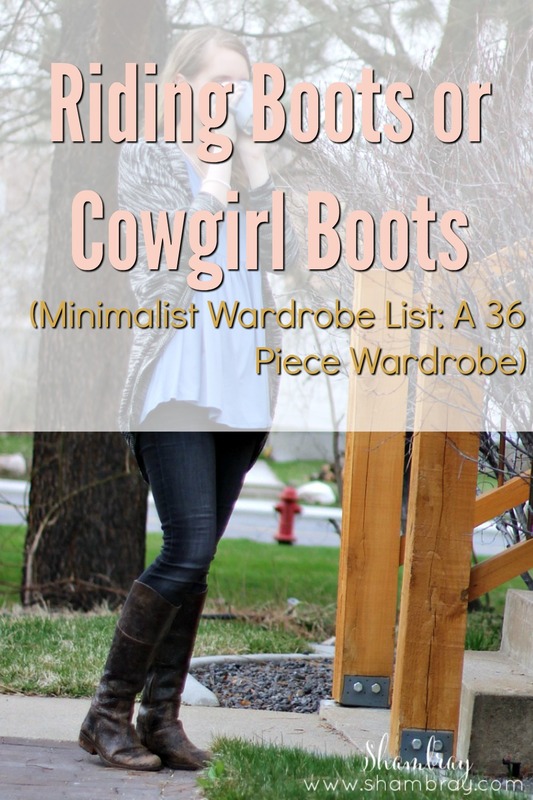 They aren't all cowgirl boots...they have riding boots too. The great thing about Amazon is you can see all kinds of brands all together. There is a VERY large variety. Another plus is that many of them ship Prime. Free shipping is always wonderful! These are sooo cute! I just started some big steps to a capsule wardrobe this week. Excited!